Seed catalogs? I collect this artwork on a Pinterest board called “Seed Art.” It’s fascinating to me to mark the changes in illustration over the years. But then there are these “oddities” for which I’m grateful. I love knowing that there’s nothing new about a sense of humor. 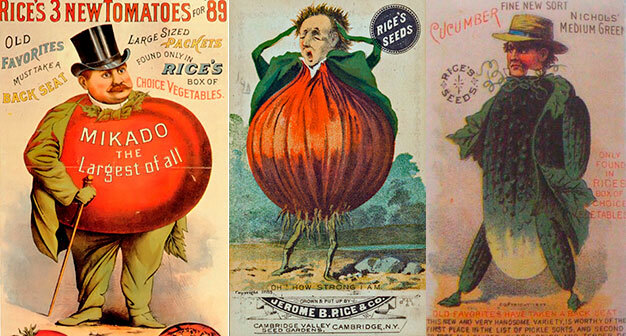 Did these vegetable people help sell seeds? Steve just ordered Mortgage Lifter Tomatoes from Seed Savers Exchange. It’s a tomato from the Great Depression. We shall see.